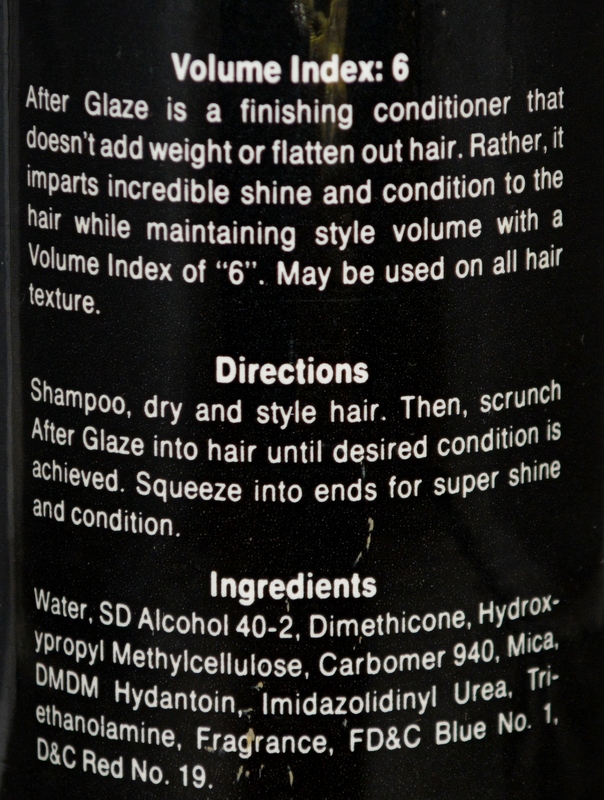 After Glaze is a finishing conditioner that doesn't add weight or flatten out hair. Rather it imparts incredible shine and condition to the hair while maintaining style volume with a volume index of "6". May be used on all hair texture. Directions: Shampoo, dry and style hair. Then, scrunch After Glaze into hair until desired condition is achieved. Squeeze into ends for super shine and conditioner.